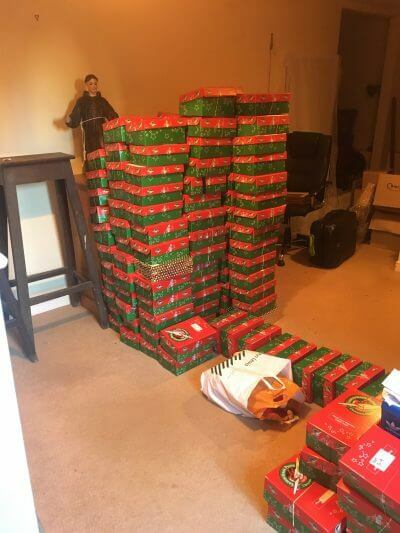 Here are the shoeboxes for refugee children being prepared to be sent off. 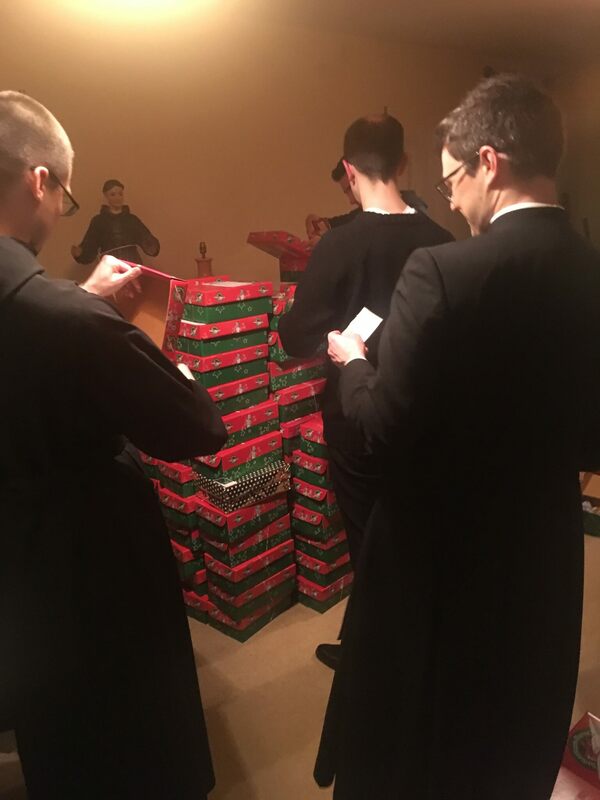 Thank you to all those who filled a box. If you didn't manage to get yours back in time, then please keep it ready for next Christmas!